Beautiful Jewellery To Take You Through Every Day & Occasion! Traditional, heavy jewellery is not only very mainstream, it is also really, REALLY old fashioned. 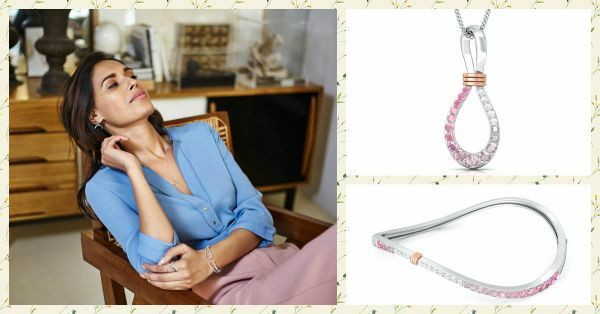 So why set limits to what outfit you can pick when you can simply opt for jewellery that's modern, light and pocket-friendly? We bring you 7 stunning ornaments from global trend-inspired jewellery brand Melorra that can be worn with almost every kind of outfit and fit into every budget. Headed out to dance? Opt for a pretty, stacked bracelet and pair it with these dainty earrings. Not only do the bracelet and earrings add a minimalist charm to your outfit, they also pair well with most looks. When you’re suited for work, there’s nothing more fitting than jewellery that is geometrical. 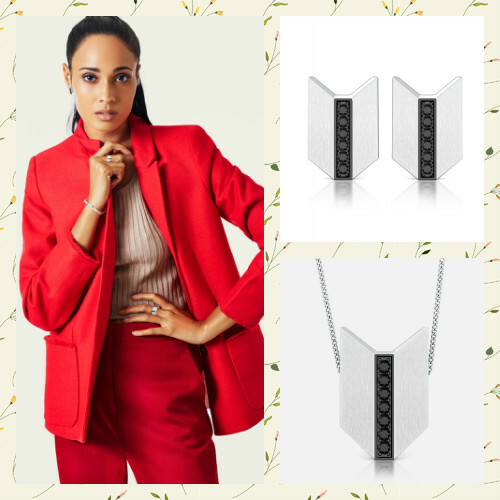 Moreover, OTT jewellery can take away from your formal look and so, this necklace and pair of earrings from Melorra are just perfect to make a great impression on the boss. 3. Why Go Formal When There’s Casual? Going out on a casual day of shopping or mall-hopping? Chunky jewellery be damned. 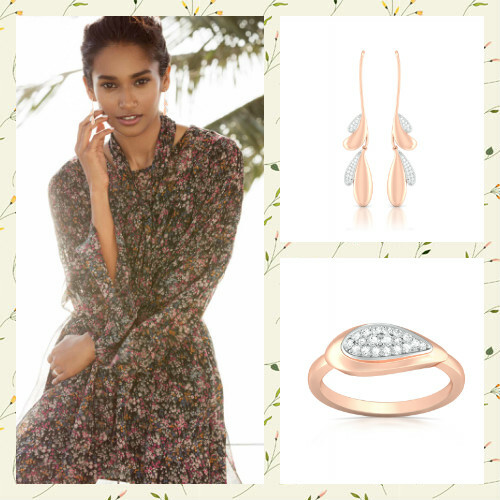 Make yourself comfortable in these pretty drop earrings and encrusted ring. It’s rose gold for the win! Pastels are pleasing to the eye and make for great colours to wear to the office. Pair an elegant necklace and ring to your pastel outfit to show ‘em who’s boss. 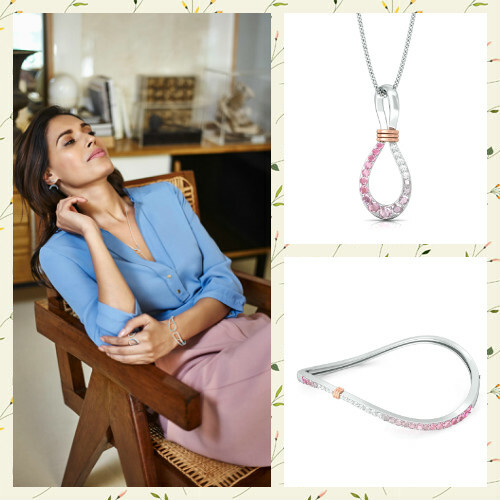 This beautiful necklace and ring can also transition your work look to an evening look with equal ease. Yes, elegant pieces like this ring and these chandelier earrings help you stand out at that cocktail. Nothing is more enticing when the colour of your champagne matches the colour of your jewellery. Be the rockstar at the club or the one who grabs everyone’s attention at drinks with jewellery that has an avant-garde design. This modern pair of of earrings and matching bracelet from Melorra pair well with your evening wear when all you’ve got on the agenda is to let your hair down. Holidays are for lounging in your most comfy pair of shorts with absolutely nothing on the agenda. Pretty up while relaxing in this cute ring and delicate, floral neckpiece. *This is a sponsored post for Melorra - a chic yet affordable jewellery brand that makes fine jewellery accessible to regular women. Download the Melorra app on android and iOS for easier access and for a range of exquisite jewellery that can be worn every day, for every kind of occasion. Follow them on Facebook and explore their Stylefeed - a never-ending scroll featuring trending fashion ensembles, complete with Melorra jewellery!